What are important Factors Affecting SEO and how to remain protected from those wild penguin and panda updates (Pun intended) from Google. Google’s Penguin Update is one of the trending topics among SEO experts these days and I have tons and tons of email in my inbox asking for factors that affect search engine ranking and how can they remain protected from such Google updates. Let me explain what I think are important Factors Affecting SEO and how to remain protected from those wild penguin and panda updates (Pun intended) from Google. Let’s accept the fact that Google is better source of traffic for content related sites and so you cannot target traffic only from other sources like Facebook and twitter and so it is important for every webmaster to understand factors that can impact search engine ranking and how they should tailor their site from a view point that is liked by both Google and users. So let me try to analyze parameters that I think can impact your search engine ranking. There has been lot of debate in SEO fraternity related to “content is King” but I continue to believe that content is still the most important piece of SEO puzzle in 2012. Google always alter it’s algorithm to reward good content site but some algorithm changes may not always work the way it is intended to millions of search queries but still generating high quality content is always the best way forward because it gives you more chances of being ranked in Google. There is nothing more valuable than having a great content on your site and it can improve your search engine rankings almost immediately. Having quality content can get you a lot of traffic for long-tail keyword searches – these are less popular keywords but will allow you to have a higher search engine ranking due to less competition and those long-tail keywords could help you gain traffic even for short-tail keywords. Google has always loved fresh and new content and still continues to focus more on fresh and new content. The frequency at which you deliver updates on your site can impact your search engine rankings. Best content may not always get the best ranking in Google automatically because though content is King, It needs the help of Queen (the backlinks) to dominate search ranking. If you are generating good quality content, it is always good to get some natural links from related sites like forums, blogs, and Question and Answer sites to link to your content. Not spamming those sites but few links that can be useful to readers reading those topics and this is when you can start ranking well in Google and then generate more natural links to your pages in the long run. Google penguin update is focused on penalizing sites trying to manipulate search results with backlinks. Google has used parameters like variation of Anchor Text in backlinks and Synonyms of words used in Anchor text to determine sites indulge in link schemes. Site wide links are killer after Google penguin update, because site-wide links can neither have variation in anchor text nor have Synonyms in anchor text. More +1’s to a page means that it helps suggesting their friends the content they liked and so I think it can help if you have content that is more likely to be shared. I have seen that timeless content is very less shared on social networks and more of news based content forms the major part of social engaged sites these days because if I want to see what all content I liked in Facebook, I am not sure I can find it that easily. I am yet to read any content that suggest that +1 to any domain effects search engine but then I see most of the SEO expert have +1 to the domain already in place and so according to me, though it is not one of the factors in ranking in Google, but I think it will be one of the major factors in Google’s ranking soon. Google is trying to emulate users and who else can be best option than the data for +1. More users justify that your site has awesome content would definitely mean Google making it more prominent in ranking and so I think you should focus on getting more +1 for your domains. Many SEO experts has the theory that domain age matters and other experts could outrank few month old site with a fairly established site and I don’t agree that domain age is major factor in SEO ranking. So what I think matters is the links pointing to the inner pages of the domain and how those links pass the navigational benefits and link juice to the domain home page. Yes I do believe that Google begins to rank trusted domains but that is not a factor of time but a factor of quality backlinks. The myth is because aged domains generally have back links from a lot of other aged domains. This helps gain authority in the eyes of Google. It is quite commonly observed that those sites that have been around for few years rank higher in search engine results but not because of time but because of external links. Though speed of a page does not have a big impact directly on search engine ranking, it is still one of the factors in Google. Apart from being a factor in search ranking, it may be more of a factor affecting your users. Whatever traffic you get because of good ranking, may not convert really well if you have slow loading site and it can drive your potential users off. What are your views on factors affecting SEO after Google penguin update? Share your views in comments below. Nice info Shabbir, Will be following more info related to this. Thanks for the updated version of the Google’s Algo. The pleasue is all mine Manu. There is one more thing good with Google +1 that it can help you assure that the content belongs to you. 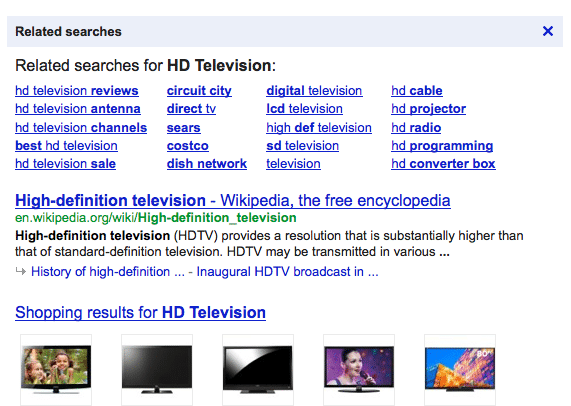 There are lot of problems when our derivative content is showing above our original content in Google. So it is good Google +1 and Google Share it. Not sure I am able to understand what you mean Xavier. Thanks for the feedback soulrider. Every blogger talks about content and links and I did not see anything new until I read about +1 to a domain. Something really new to me and worth thinking about it. Thanks for sharing. The pleasure is all mine Aryan.